Desk Sgt O'Hara oversees Lola the doxy as she is taken into custody by Officer Roz, Officer Doyle and regular customer Mr. Hoover, the local drunk. 5 metal figures per pack. 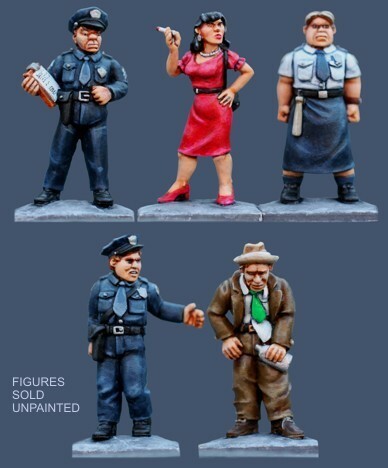 28mm sized figures, supplied unpainted.